July | 2011 | "How Would You Fix...?" 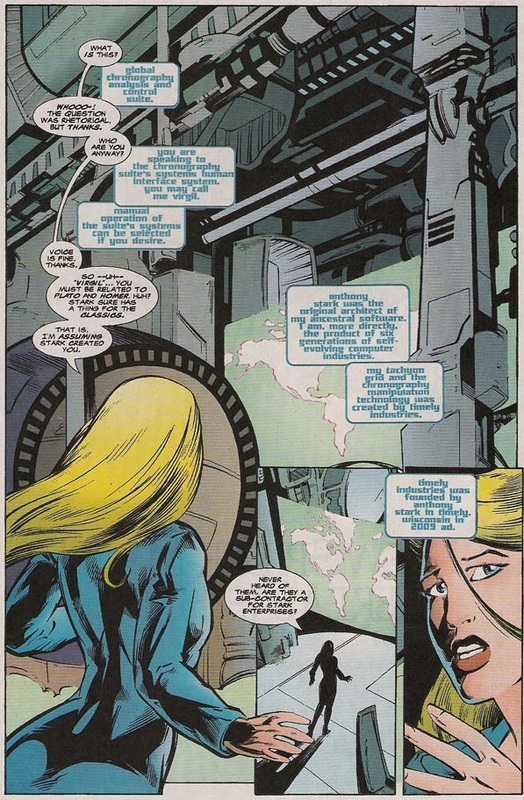 …the origin of Havok’s powers? 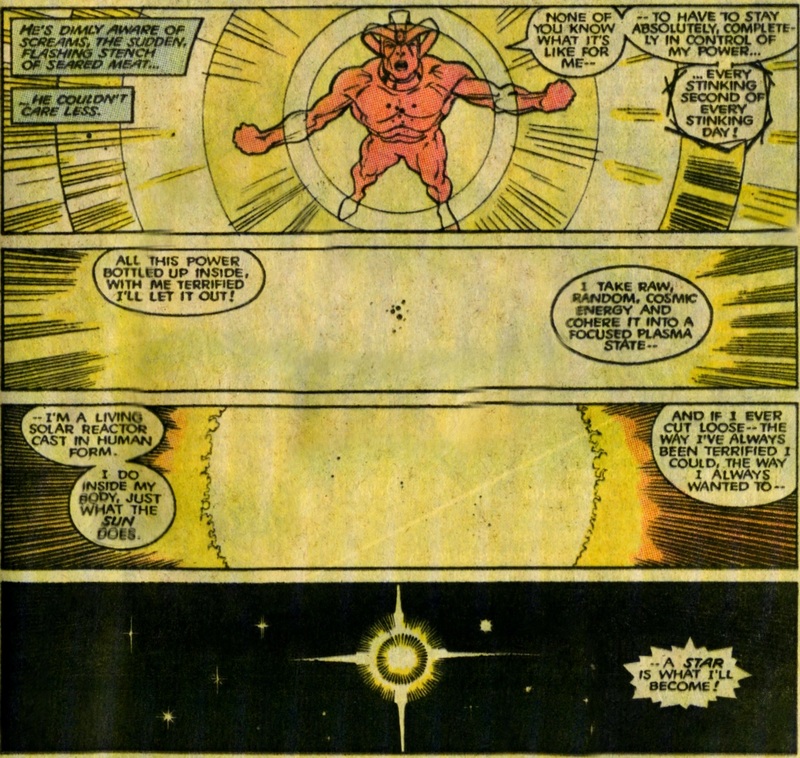 Personally the whole conceit of Havok’s mutant ability being fuelled through his absorption of cosmic rays has never quite clicked for me. There is a major problem with this principle. As I understand it, primary cosmic particles hit Earth’s atmosphere where they collide with atoms of oxygen and nitrogen, breaking up to create showers of secondary particles. These then enter the lower atmosphere, colliding with even more atoms to create even weaker secondary particles. By the time these cascades of particles reach the ground, they are basically powerless. Only the most powerful cosmic primaries cause bigger problems, and of these only a very small percentage reach the surface of our planet. Among the cosmic particles that are able to reach Earth – in fact they pass right through it – are neutrinos, neutrally charged particles with an extremely low mass. They are produced during radioactive decay by stars, including, of course, our own sun. Since neutrinos are unaffected by the same electromagnetic processes that govern charged particles, they pass through the earth, and us, without interacting at all so Havok would it seems be unable to make use of these to fuel his power either. The only other cosmic particles that are known to penetrate the earth to any depth are the cygnets from Cygnus X-3, a neutron star located 30,000 light years away in the constellation of Cygnus, the celestial swan. Like neutrinos, these *cygnets* are neutrally charged, yet unlike neutrinos, they do interact with matter, and that includes us humans. 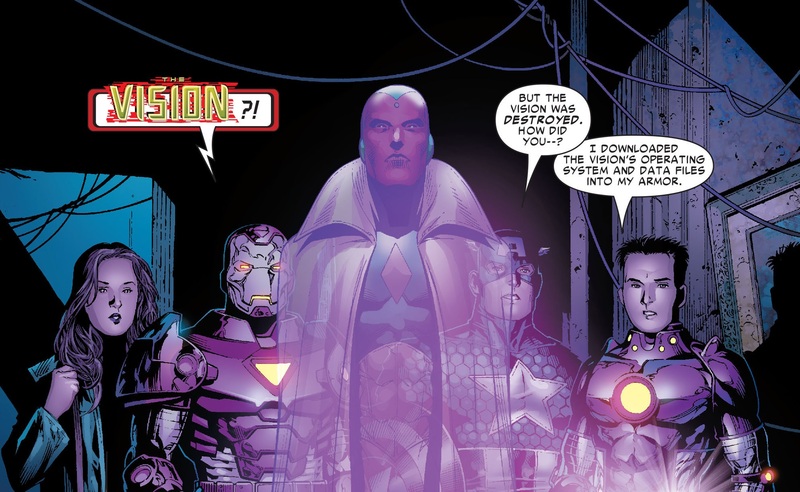 So it would seem the cosmic rays that Havok absorbs to fuel his power would be neutrons with these same qualities. The only problem is, Cygnus is the only current confirmed source in the Milky Way Galaxy that produces periodic bursts of high energy gamma rays to produce these neutrons. Otherwise, is Havok’s power perhaps fuelled by similarly attributed neutrons from a certain *neutron galaxy* housed within a certain *crystal*? Does this finally explain the interest D’Ken and Mr. Sinister had in the Summers line – their ability to absorb and channel the power contained within a *neutron galaxy*? Maybe this explains why Cyclops’ power was able to shatter the matrix! The remarkable Jason Powell has posited that it wasn’t the strength of Cyclops’s eye-beams but the fact that he also absorbs energy from the crystal, making it weaker, perhaps explaining how the X-Men passed inside the crystal despite it being super-dense. Is this why Lilandra REALLY sought Charles Xavier out, to prevent the “end of all that is”? 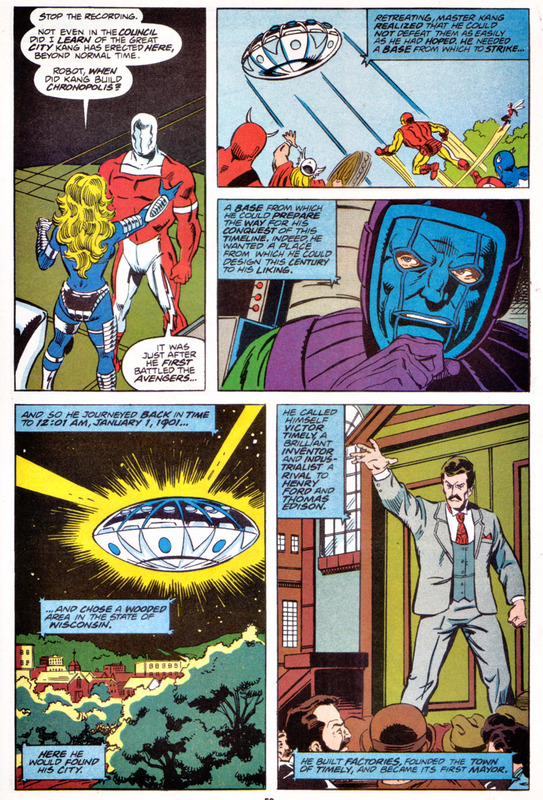 Claremont after all did have Lilandra show her true colours during X-Men: The End, revealing that the Shi’ar technology given to the X-Men’s Mansion by her as a gift, was used, like a “trojan horse” as part of her plan to destroy the X-Men once and for all! Postscript: What’s further interesting is that the star, Cygnus, was worshipped by the Egyptians as the falcon-headed god, Seker. 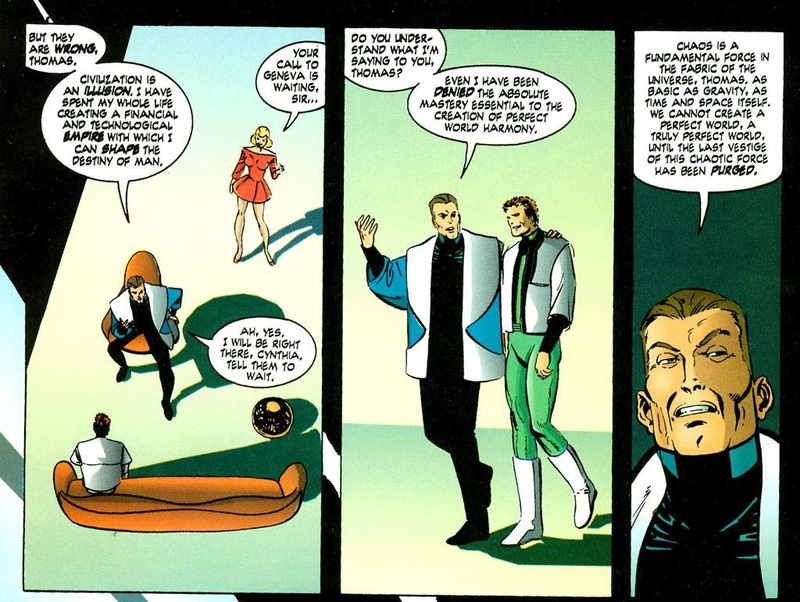 I wonder if this could be used to not only explain a certain race of avian-descended humanoids’ interest in the Crystal, but one living pharaoh’s interest in Alex Summers as well! ?